At EPA our best assets are our employees, their experience and dedication are the driving force of our success. Our Electrical Engineers, Drafts People and Administration staff work closely with one another through the life-cycle of each project so that we are able to deliver our clients with a professional and efficient service. Our team is lead by Paul Malanchuk and Jonathan Carroll who have 22 years and 18 years of experience respectively within the Electrical Engineering industry. Paul has worked in the industry for over 22 years. After completing his Electrical Engineering degree Paul began his career with Electrical Projects Australia in 1994 as a Graduate Engineer. Proficient in delivering quality Electrical Engineering projects on both large and smaller scales, Paul is a leader who inspires high productivity levels as well as guiding, training, coaching and motivating his staff. Jonathan has been with EPA for 10 years and has been a valuable member of the team since. Starting out in the industry in 1999 as an electrician, Jonathan completed his apprenticeship in 2003, and then went on to study a Bachelor of Electrical Engineering at the University of Newcastle where he graduated in 2008. Jonathan hopes he can help Australia build a sustainable and socially prosperous future. Courtney is involved with Industrial Design, PLC & SCADA Programming and Building Services and has a high level of knowledge and experience in these areas. Matthew is fully qualified Electrician and has completed his Advanced Diploma of Electrical Engineering. He is currently working through a Bachelors Degree of electrical engineering at the University of Newcastle. Matthew is involved in all aspect of design at EPA, and valuable member of our team. Jeffrey joined EPA in July 2016 as undergraduate Electrical Engineer. Currently studying a Bachelor of Electrical Engineering at The University of Newcastle, Jeffrey is also a qualified Electrician. During his Apprenticeship, Jeff worked at West Wallsend Underground Colliery. Jeffrey has an Advanced Diploma - Electrical Engineering (Power Stream) and a Certificate 3 - Electrotechnology Electrician. Before EPA, Sheree worked for a state owned water and waste services corporation as a draftsperson, working in Electrical Drafting and Water & Sewerage Services. Courtney has been with EPA for 8 years. After completing her Diploma in Events Management and Administration, Courtney worked for a prevalent Newcastle Events and Promotions company for 2 years. 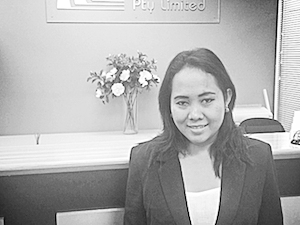 Roshelle joined EPA in June 2017 and is our receptionist and part of our administration team. Roshelle comes from a retail and hospitality background and has completed a Certificate 3 in Business Administration.